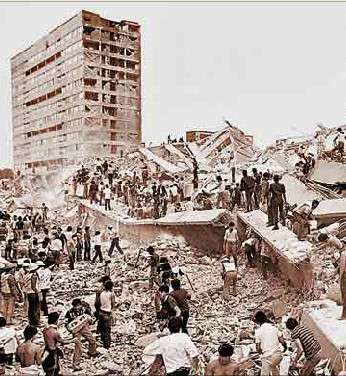 On the morning of September 19, 1985, an 8.1-magnitude earthquake hit the western states of Mexico and including Mexico City. Western Mexico is particularly vulnerable to earthquakes with the Pacific plate and Cocos plate moving against the North American plate actively. As Mexico City is situated on an ancient lakebed plateau composed of mostly dirt and sand, the ground is less stable than bedrock, thus leading to major damage. 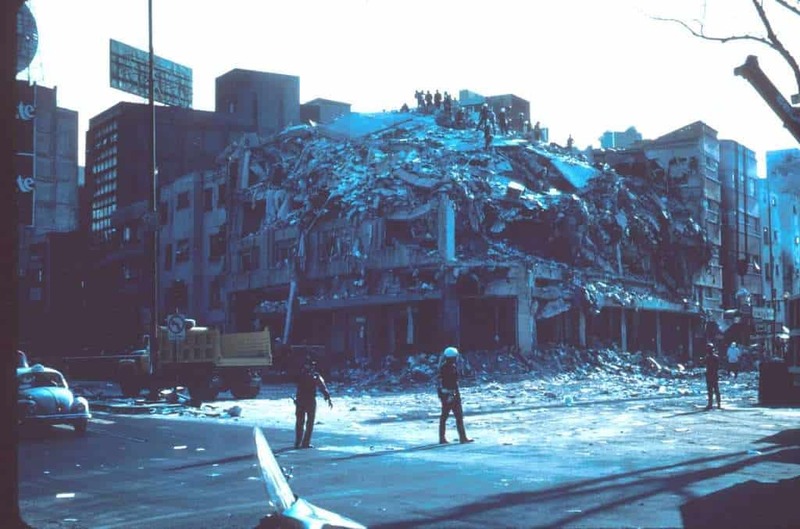 The earthquake lasted around three minutes causing older buildings and poorly constructed infrastructure to fall. As well, the tremors led to gas mains to break causing fires and explosions throughout Mexico City. The earthquake resulted in around $3 billion to $4 billion in damage. In the aftermath of the earthquake, about 3,500 buildings had collapsed or were seriously damaged. Most of the damage was focused on the historic downtown area of Cuauhtémoc. The death toll, a number which is disputed, is most often cited to be 10,000 people, but many agree that the number could be as high as 40,000. Responses from the Mexican community and foreign governments came swiftly. Mexican President Miguel de la Madrid declared a period of mourning starting from September 20. The Mexican government, thinking that it could handle the situation after the earthquake by themselves, initially refused any foreign aid. 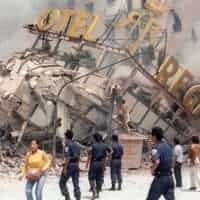 As an aftershock struck on September 20, the Mexican government then announced that it would be willing to accept help. Heavy machinery, medical supplies, and excavation equipment descended into the city to help with rescue efforts. First Lady Nancy Reagan toured Mexico City with U.S. Ambassador to Mexico, John Gavin, observing the resulting damage of the earthquake. Robert S. Pastorino describes the disaster and the embassy’s response to it. He was interviewed by Charles Stuart Kennedy starting in March 1998. As the National Security Council’s Staff Director for Latin America from 1985 to 1986, Ambassador G. Philip Hughes was involved in planning First Lady Nancy Reagan’s visit to Mexico City, which he questioned as being ill-timed; he was interviewed by Kennedy beginning August 1997. Stanley Zuckerman was a Counselor for Public Affairs for Mexico City from 1978 to 1983; he was interviewed by Kennedy beginning July 2004. Posted in Mexico City as a Minister Counselor for Public Affairs from 1985 to 1989, Ambassador Sally Grooms Cowal gives insight into some controversies surrounding Ambassador Gavin during her interview with Charles Stuart Kennedy beginning August 2001. PASTORINO: Mexico was then ending the Lopez-Portillo Administration, and entering into the six year term (sexenio) of Miguel De La Madrid. It was still run totally by the PRI. It was still peaceful. The oil boom was on. It was growing in population at a tremendous rate, and the economy was booming. Mexico City was still the political, geographical, and cultural center of the country. Some people found it a difficult place to live then, and in certain aspects — traffic, noise, congestion, smog — it was. During this second period of mine in Mexico, 1985-1986, Mexico City was still peaceful. …The only untoward thing was the earthquake. I was in the Embassy in my office at 7:30 in the morning. I was one of the few people in the building. The Marine guards of course were there. The building shook like hell. Since I’d gone through earthquakes in San Francisco, and the big one in Caracas in our first assignment, I wasn’t scared or nervous. It shook for thirty or forty seconds. I let it shake (what else could I do?) and when it stopped I decided to leave the building, have a cup of coffee for twenty minutes, and then go back to work. I took the stairs down to the lobby, and went across the street to the Sheraton Hotel. I didn’t notice any great panic and couldn’t see any damaged buildings on that block. I went back inside the Embassy and upstairs to my fourth floor office after the twenty minutes like I had planned. But then I began to see the destruction from the windows and we began to get reports that parts of the city had been seriously damaged, with many major buildings downed. I was lucky in that the phones were still working and I called home and found that my family and the house were unharmed. The phone system failed almost completely shortly thereafter. It turned out I was in charge of the Embassy. Ambassador Gavin was on his way to Europe on vacation and Deputy Chief of Mission [DCM] Morris Busby was in Northern Mexico on fisheries negotiations. They had left me in charge of the Mission but Washington didn’t know that. I had been officially appointed by the DCM when he left, to be in charge. The Ambassador was to get on a plane that morning in Washington to go to Europe on his home leave. So the DCM/ Charge officially appointed me. The Administrative Counselor, Doug Watson, a tremendous help and calming influence, came in at 9:00 a.m. and we had to decide what to do. The first thing, the highest priority, was to determine that all of the Embassy people were safe, that all official American personnel were safe. The Embassy had a telephone network, in which everyone calls everyone else in a certain order. We hurried through the calling because we knew the phone system in Mexico City was progressively failing as the central exchanges were literally falling down. Ultimately, most of the exchanges were badly damaged or destroyed. But early that morning, some lines were still open. I got on the phone about 10:00 a.m., when we found out everyone was okay, and tried to call Washington and tell the State Department that the American and Mexican Embassy personnel were unharmed. That took some doing because I couldn’t get through readily. Finally, after some trying, some genius in our Communications section patched me through to Washington through Louisiana, and Atlanta. I told the State Department Operations Center that I was speaking on behalf of the Chargé and that the American staff was fine. I asked them to please alert all of our families that we were okay, because phone communications from Mexico City would be problematic. I then assured the American staff, all of whom had come to work, that their families were being informed and we shouldn’t be tying up the few Embassy lines that might still be operative. I really caught hell for that from the staff later because the Department neglected to tell anyone or inform our families. Even my own sister and aged father in San Francisco weren’t sure of our condition for two days. At that time, all the lines went dead. Within the next couple hours, we made sure the local Mexican staff was ok. Most of them came in to the Embassy to work. I was amazed. Some of them came from homes that were damaged. As far as we knew, no staff person’s home or structure collapsed and no staff person was hurt badly. Doug Watson suggested that I call everyone together at about 11 o’clock in the big, Embassy central patio. To this day, Embassy people remember that event and the talk I gave. To this day I can’t remember a word I said. But, people said I calmly addressed the group, telling them what had happened as best we could determine. Some people said later that I was too calm and didn’t appear very sympathetic. Maybe that was because I had been through many earthquakes before, including one just as serious. I told the Mexican employees they could return home, if they thought it was necessary. I told them we would need them in the Embassy, but their personal considerations were clearly more important…. I went onto the roof and I could see buildings collapsed within two or three blocks. I really got my appreciation for the damage at 11 o’clock that night. I went to the airport to meet the Chargé d’Affaires, Morris Busby, who was returning from Northern Mexico. Then I went back to the airport at 3 a.m. to meet Ambassador Gavin. I took advantage to ask the chauffeur to go through various neighborhoods where we heard there was great damage. The most vivid memories of that night were of the Mexican people digging frantically in the piles of rubble, with no lights, no electricity, and no help from the government. The digging went on amid continuing screams from within the fallen buildings. They were digging with their hands, or small shovels, but with no heavy equipment, by the light of automobile headlights. Soup kitchens were set up by the people to keep the diggers working. A lot of people were saved that night by the digging, survivors being dug out minute by minute. Then I took Gavin through some of these neighborhoods. I think we actually got out in several places. It was the only time no one paid much attention to the American Ambassador. They were busy digging; it was dark. We probably had 25,000 resident Americans and many, many American tourists. It was autumn, September. So there was probably 100,000 tourists. And neither one of these figures probably counted Mexican-Americans or Mexicans that have family in the States. So I don’t know exactly, but we had 25,000 officially registered. We had to take care of them. We had to worry about the American School, the American Hospital, and other American institutions. And we began to prepare cables about the situation. In the beginning we prepared sit-reps [situation reports, i.e., cables done during a crisis] on an hourly basis. We weren’t even sure they would be able to be sent the first couple of days. Of course, the U.S. television networks were telling the U.S. about the situation, and as usual it was vastly overblown, probably unnecessarily scaring Americans with friends or relatives in Mexico City. I remember Dan Rather telling the world that Mexico City was completely destroyed. Of course, he wasn’t there that first night, and was reporting the disaster based on pictures from a few neighborhoods. As for me, I was frequently told that I remained fairly calm the whole time. The momentum carried me; there were things that had to be done. Every minute, people came into my office to ask about a myriad of subjects, both personal and professional. The Embassy had ten or twelve other physical facilities around the city. We had the Marines Residence, the Military Cemetery, the Defense Attaché’s Office, our military people at the Mexican Defense University. We had dozens of calls and cables coming in from the Consulates, from all over Mexico. We also have to remember that there was a major aftershock thirty six hours later, about 7 o’clock at night the next day. I stayed in the Embassy the day and night of the first quake until about 4:00 a.m. I think I went home at 4:00AM and came back at 6:00 AM. I didn’t think that was very strange. I don’t remember feeling sorry for myself. It was my job. So I was in the Embassy the next night at 6 or 7 o’clock when the major aftershock came. That one wiped out much of the remaining communications and then collapsed many buildings that had been severely damaged the day before. The aftershock was almost as strong as the original quake and may have done even more damage outside of the city than the original shock had done. What the aftershock did was make many people really panic. A lot of people hadn’t panicked the first day; the aftershock though brought many to the edge of desperation. What could one do to stop the quakes? It did more damage to some of the Embassy’s residences, fortunately, not mine. I remember the back wall of my secretary’s apartment just fell out into the back yard. If she wanted to go to sleep it would have been in view of the elements. That second night I was in the Embassy until 1 or 2 in the morning. But I was more at ease because Ambassador Gavin and Busby were both back. I think that on the second day shipments were already beginning to come in from the States. The airport runways were thought to be damaged on the first day. The control tower operation was down so the airport was closed. By the second day I think it could take airplanes because the runways were indeed not damaged. As you know, Mexico City airport is very close to the downtown, and thus very close to much of the damage. In fact, some of the neighborhoods close to it were badly damaged. Americans are very generous and they immediately began to collect and provide goods to load up airplanes. 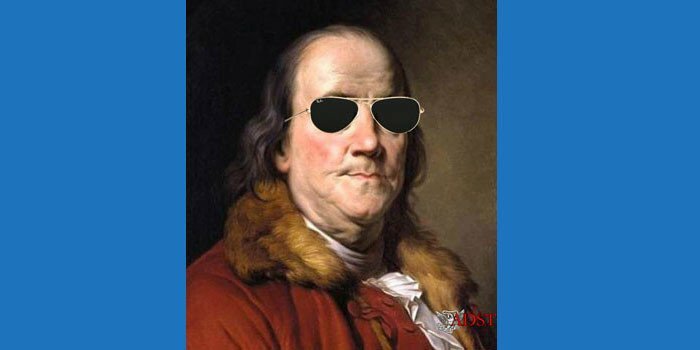 Usually it was items that were needed, but sometimes Americans rush to clean out their basements and send whatever is available, and then they feel good and take a tax break. Most of the items were legitimately needed, although during the first few days even the Mexicans didn’t really understand the extent of the damage and what was needed for relief. I think it was on Day 3 that Ambassador Gavin sent me to the airport to see if we could get certain goods released. I don’t think I succeeded and he had to go to the Foreign Secretary, and finally to President de la Madrid. On the other hand, on one of the first days, I called a Congressman in Los Angeles and asked him not to send a plane load of supplies, because they were not things that were needed. What was especially needed was machinery to cut through the concrete reinforcing rods, oxygen, the sniffer dogs to search for survivors, tents, heavy machinery to move some of the rubble, lighting systems, and communications gear. One of the things that was most important were inflatable bladders for water. The water system was destroyed in much of the city. This is a city and urban area of 20 million people in the valley, of which seven or eight million people were directly affected by the loss of services; the loss of electricity, water, sewage facilities, all of which began to cause disease problems. 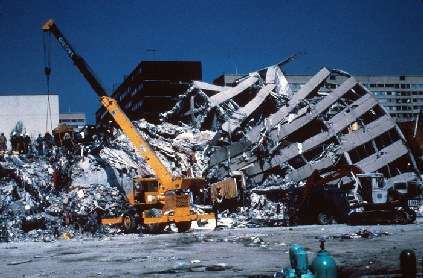 Problems were compounded because the Government disaster relief office was destroyed and several of the largest hospitals collapsed during the first day, including the Juarez General Hospital where I went with the Ambassador three days later while they were still rescuing survivors, although each hour the number of corpses rose and survivors dropped. The deaths were so numerous that they had to use the baseball stadium as an outdoor morgue. They needed that much space to lay out the corpses. Q: How many Americans were killed, do you know? PASTORINO: No official Americans and just a few American citizens. The number of Mexicans who perished is still controversial and probably will never be known for certain. I believe it was 30 or 40,000. Ambassador Gavin was taken up in a helicopter the day after the quake to survey the damage in order to get a sense of the assistance that would be needed. He landed and said to the press that he thought there might be more than 20,000 deaths. To this day, the Mexicans say it was less than 20,000. They were perturbed at the Ambassador’s estimate for some reason, but I am convinced the real total was closer to his estimate. Of course, the Mexicans refused to accept his figure. I remember many stories about heroism during those next few days. One is of two American Embassy officials who attempted to save lives of people caught in downed buildings. A DEA official and a Foreign Service Officer happened to be downtown in a hotel for a breakfast meeting when the quake struck. These two guys heard screams and dove in to the flooded basement waters of the severely damaged hotel trying to save drowning hotel guests. There were American guests at this hotel and one of the officials actually pulled out bodies. I also remember some cases where overwork and exhaustion caused Embassy people to almost crack. Many worked most of the first 72 hours straight, either in the Embassy or outside. One threatened to jump off the balcony because of some issue. We convinced him not to; another small task accomplished. But for the most part, American government officials acted with great courage. But the greatest credit goes to the thousands of Mexicans that dug those first few days, saving hundreds of people. I remember we let every American, tourist or resident, come to the Embassy and write a one-page telegram. I remember doing up the format. You had one sentence. I am so-and-so and I’m ok. This is the address to send it to. We couldn’t allow too much more detail because of the difficulty of transmission and the number of telegrams, and then we couldn’t send them by the regular cable system because it was down. We had to put thousands of telegrams in a huge sack and have them carried to Laredo to be sent out from there. It was a Foreign Service Officer who had to load these sacks and take an airplane at night. I remember there was a big deal when we brought down to Mexican City an American company to implode buildings. Some of these buildings were ready to fall down and they were dangerous. There was a huge controversy. “Here come the Americans to blow up our Mexican buildings.” Would it work? We had to give the Mayor of Mexico City a video presentation of how the implosions were done in the U.S. Almost always no smoke, no dust, and every brick falls right where it’s supposed to. But we did worry that it wouldn’t go right and we’d kill some Mexicans standing and gawking. The first implosions were the biggest event of the week. I remember helping develop a security plan of where to put the police lines to keep the people an appropriate distance away. The event was televised nationwide and in those parts of Mexico City which had electricity. I am sure the implosions, which were successful, saved many lives. That was due to a tremendous effort on part of Embassy people to coordinate the activity, efforts which of course were invisible to the outside…. Q: I get the sense here that throughout this whole conversation, the earthquake and the aftermath didn’t do much to cement good Mexican-U.S. relations. PASTORINO: Between the governments it probably didn’t. But the Mexican people recognized how much the Americans helped by sending assistance and helping in the reconstruction. Later, the American Chamber of Commerce of Mexico City, led by John Bruton, collected large sums of money and rebuilt schools. I had the great honor to cut the ribbon at one project where I went with Henry Cisneros and Bob Krueger because San Antonio, where Cisneros was the Mayor, donated the money to rebuild a school. Connie Gavin set up a foundation, very quickly, within a month, and collected money to bring kids that were badly maimed for re-constructive surgery in Los Angeles. That continued for five years. You could see the appreciation of the families of these children as they went to the airport to welcome their children back…. Ambassador Gavin had to go to de La Madrid on some issues in order that we could help effectively. And even when Presidential orders were given, they were sometimes not followed, or could not be followed. As I noted above, the Navy Secretariat, which was in charge of disaster relief, was destroyed on the morning of the quake. Even if it had not been destroyed, it didn’t have much equipment and expertise. A lot of countries don’t plan for earthquakes. Mexico certainly did not plan for earthquakes…. HUGHES: During the brief period that I was on the NSC staff in connection with Mexico, my main activities were planning a trip that Nancy Reagan made to Mexico and accompanying her to give a symbolic donation of a million dollars to the victims of the September 1985 Mexico City earthquake and dealing with a presidential phone call between de la Madrid and Ronald Reagan. Nancy Reagan’s trip was I think her first foray into a foreign policy role. It was something she very much wanted to do. It was all got up in a few days as you might imagine right after the earthquake. The day after the earthquake I was called at the NSC and asked how do you think the Mexicans would react to the First Lady coming to Mexico? I said that the last thing in the world the Mexicans need is the First Lady coming to Mexico right now. She is not going to be able to do anything material. She is not going to be able to put back a building or dig out civilians or something like that. Any aid that we gave would be only a symbolic gesture, a drop in the bucket. 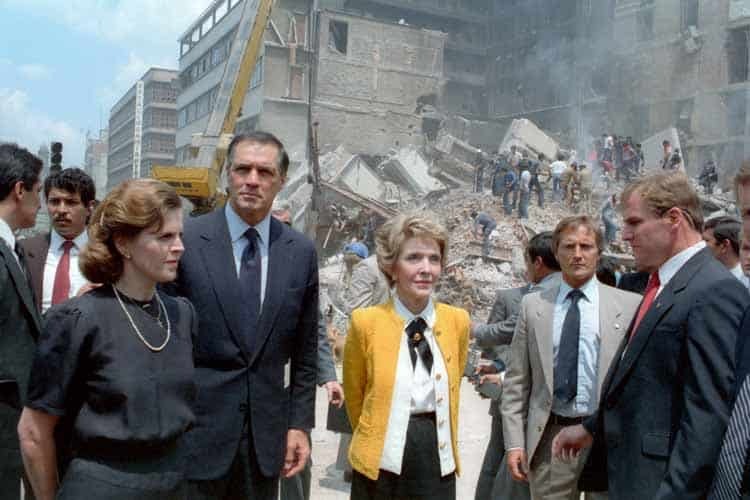 Financially, we had already offered the Mexicans a variety of technical assistance from sniffer dogs to special jacks and engineering gear to try to rescue people from collapsed buildings. The Mexicans were profoundly dilatory about taking us up on our offers of help, and she wasn’t going to solve that problem. What could possibly be achieved by the First Lady’s going to Mexico except inconveniencing the Mexicans at a time of national disorder and stress and grieving and all the rest of it and getting some photo-ops for Nancy Reagan? That was my view. I was quickly told that this was probably going to happen so it’s not a question of whether it is desirable or not, it is a question of making it happen. Within a few more hours I learned that this was probably going to happen so we turned to and set up the visit. I liaised with the Office of Foreign Disaster Assistance[in USAID] and we got a check cut for a million dollars. This was an administrative decision and Nancy Reagan was going to take a million dollar check to Los Pinos [the Presidential palace]. We coordinated with the embassy. There was no time for an advance visit or anything. We just sent advance teams directly to Mexico to get this set up on about 48-hour’s notice and coordinated with the embassy to work out a schedule which mainly involved the First Lady arriving, going to Los Pinos, meeting with de la Madrid, giving him the check, touring some sites of devastation around the city, meeting with the embassy staff and saying some words with them and then flying on to California. We got on an Air Force I airplane. Elliot Abrams went from the State Department, I went from the NSC, Jim Rosebush was then Nancy Reagan’s Chief of Staff and Elaine Crispin was the First Lady’s press secretary. We all flew to Mexico in this nearly empty plane spending a lot of hours in the air. Nancy Reagan’s briefing was very brief and not deeply substantive and she mainly spent the flights both to Mexico and California closeted in her state room. She didn’t mingle with people in the way the Bushes did typically on their airplane. We landed in Mexico and went through this program which involved going to Los Pinos, giving the check, having a little talk with de la Madrid, and going around touring a number of sites. It was pandemonium. People were all over the First Lady. There was one very frightening sight at Plaza de Tlateloco in Mexico City, where a large high-rise apartment building, probably a 15-story building, had just collapsed into a pile of bricks. These was a great crowd of people milling around. ZUCKERMAN: It was again a period when a chargé ran the Embassy, and John Ferch had gone on to Cuba as head of our mission there and later became our Ambassador in Honduras, and there was a rather long gap before John Gavin, Reagan’s appointee as Ambassador, was confirmed and arrived on the job. 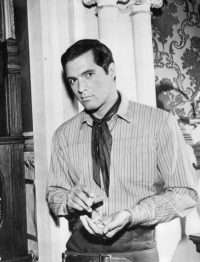 John Gavin’s nomination by the President caused consternation and some disdain in the Mexican press and the public because he was identified as an actor. I think however, once he came down, although he did have some difficulties later on, he did impress a good deal of Mexican society with his superb knowledge of Spanish. His Spanish was impeccable. His mother was born in Mexico, in Sonora. I think I mentioned his mother’s family had settled in California before California became a state. He was a cousin of one of the leading writers of Mexico, Carlos Fuentes, who he called Charlie Fountain. They had spent a lot of time together as children. He had a tendency shared by almost all politically appointed ambassadors, including [Patrick] Lucey at times, to sometimes speak out on Mexican affairs as if they were presidents of Mexico rather than ambassadors to the country. It was appropriate to speak publicly about issues relating to our interests, but dangerous to tell Mexicans how to manage their own affairs, at least in public. Problems became serious I think, for Gavin, in 1985, after the great earthquake in Mexico City, at a time that I was already in Ottawa. The president was saying that they had lost 10,000 people, and Gavin made a public statement that there were 20,000 or more who had died. He may have been right, but being right was not necessarily the objective of diplomacy. 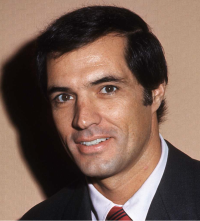 He sometimes felt that you had to talk tough to Mexicans…. Gavin felt that sometimes you had to deal publicly with them…. COWAL: I think the most controversial thing that he [Ambassador Gavin] did, at least in my time there, happened just before I arrived. There was a very large earthquake in September of 1985. One of the first things that he did, he was very concerned and he was very interested and he wanted to make sure that appropriate assistance came from the United States. He got the military to get him a helicopter, and he wanted to personally survey the damage in Mexico City, not without reason, again. He got a helicopter and he flew over and counted the number of buildings down, and many of them were apartment buildings. Fortunately, the quake was early enough in the morning that people weren’t yet in their offices. Otherwise I think it would have been much greater, because a lot of people were still out of the city or in small buildings and so on, not in these huge office towers. At any rate, he counted the number of buildings down and he made two observations to the press as he got off the helicopter. One is that 20,000 people had died, because he counted the number of buildings times what he assumed was the occupancy of each building, and it was clear that most people in those buildings would not survive. They pulled a few survivors out of the rubble, but mostly these buildings just came right down. And, secondly, he observed that the pattern of destruction was very uneven, so while it was worse in some sections of the city than others, it was not uniform. So you’d look on a block and three buildings would be standing, and two buildings, like collapsed teeth, would be down between the three standing buildings. He immediately jumped to the conclusion that those were buildings that were probably built not to the standards which were in print, but not always observed, of how buildings ought to be built in a seismic zone. And that a lot of that probably had to do with corruption, that maybe it was paid for that there should be 50 bags of sand and cement or whatever it was, but 15 bags went in, because it was more expensive to build things to code. Of course, both of those facts, and they probably were facts, that he announced, were things that the Mexican government didn’t want to hear. Actually, that earthquake, and I think perhaps Gavin’s taking a very out-front role and really expressing the damage and so on, the follow up to that by the Mexican citizenry I think really led in some interesting and strange way to the ultimate defeat of the PRI several years later. Assistance was just not flowing and not flowing fast enough, and people were without electricity and they were without water and they were without homes, and they began for the first time to organize themselves, in neighborhood groups and community groups, to do something about this. That was maybe for the first time really since the Aztecs, a questioning of the central authority and of the power structure, by individuals and by groups of nongovernmental organizations, civil society, that really began to emerge. That quickly spread from earthquake-related things to environmentally related things, the fact that Mexico City was such a polluted city. Again, groups began to form to do something about the pollution or to speak about what was happening to the city, and I think all of that great foment in civil society is what led to a reform in the political system in Mexico. It was very interesting, and Gavin was not without his role in all of that. Q: Well, then, if Gavin would make these statements, like obviously there was a problem of corruption which led to deaths, could the media mention that? COWAL: Well, they would sometimes mention it, and that would cause problems, or they wouldn’t mention it, and that would cause problems, of course, with the embassy. The foreign media would always cover these things, and then report it, and then sometimes the Mexican media would be able to report on what the foreign media had presented. Yes, it was not the Soviet Union. It was not totally closed. The leading newspaper of the day was called Excélsior, and it was truly an awful newspaper. It was just awfully difficult to try to read it. Excélsior would probably have 30 stories on the front page. So they would have everything on the front page with about three lines of type, and then every story would continue in a different part of the paper. It made it extremely difficult to read these stories or they would turn the story around. There was also not much of a line between editorial opinion of the newspaper and the reporting on the news. So a lot of what we did in USIS, we would also sponsor seminars for journalists and so on. We were trying to make them more professional, but they would editorialize right through that Gavin might have said there were 20,000 dead, but that couldn’t be the case because of whatever or whatever. So they wouldn’t just report the facts and then put their editorial opinion on the editorial page, saying he shouldn’t have spoken this way or he didn’t have the facts corrected, it would all be interwoven in the same story. They would sometimes report his criticisms, but you would sort of lose the train of it before you got done. Nonetheless, I mean, it came across to the Mexican people that he was someone who was not their friend.